famous for his unusually high countertenor voice and his sensitivity on ballads and love songs. After a series of successes in the 1940s and 1950s, Scott's career faltered by the early 1960s. He slid into obscurity before launching a well-received comeback in the 1990s. His unusual singing voice was due to Kallmann's syndrome, a very rare genetic condition. The condition stunted his growth at four feet eleven inches until, at the age of 37, he grew another eight inches to the height of five feet seven inches. The condition prevented him from reaching puberty, leaving him with a high, undeveloped voice. One of ten children, James Victor Scott was born in Cleveland, Ohio on July 17, 1925 .He was only 12 years old when he became known as a singer around Cleveland . While in his teens a Comedian saw the potential in Jimmy, he was Tim McCoy from Akron. Whenever Tim got a “gig” around Northeast Ohio, he would take Jimmy along with him on the bill. Jimmy would sing at different clubs, they would sneak him out before the cops arrived, because he was not only under age, but looked even younger than his actual years. Later Jimmy produced the Summer Festivals, a group of talented youngsters, like his friend jazz baritone singer Jimmy Reed and dancer Barbara Taylor that would put on shows all around the area. 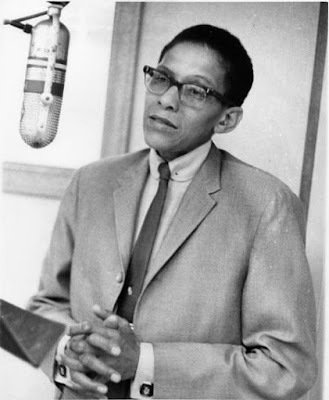 Jimmy joined Lionel Hampton’s Band in 1948, where he discovered the vibraphone and the strings, of which Jimmy said “helped him to learn the beauty of the song” and encouraged him to sing. 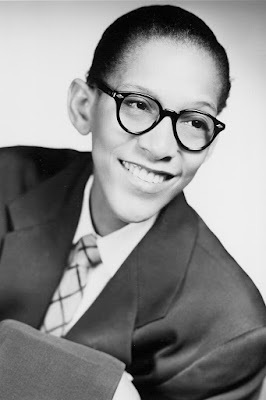 Lionel was a mentor to Jimmy and the one who tagged him with the stage name, “Little Jimmy Scott”, at the time he was 23, only 4’11,” thin, and very young looking. Jimmy said it was a gimmick for Lionel’s show, but it wasn’t too many years later that you started hearing more singers take their cue from Jimmy’s stage name and call themselves Little So & So. Hampton’s female vocalist at the time, but many fans knew better, especially women, who swooned at Scott’s every deliciously split syllable during his year on the road with Hampton. Scott’s hit and three other songs were recorded with the Hampton orchestra, along with early Fifties solo sides for the Coral and Brunswick labels. The singer spent long periods away from the microphone. 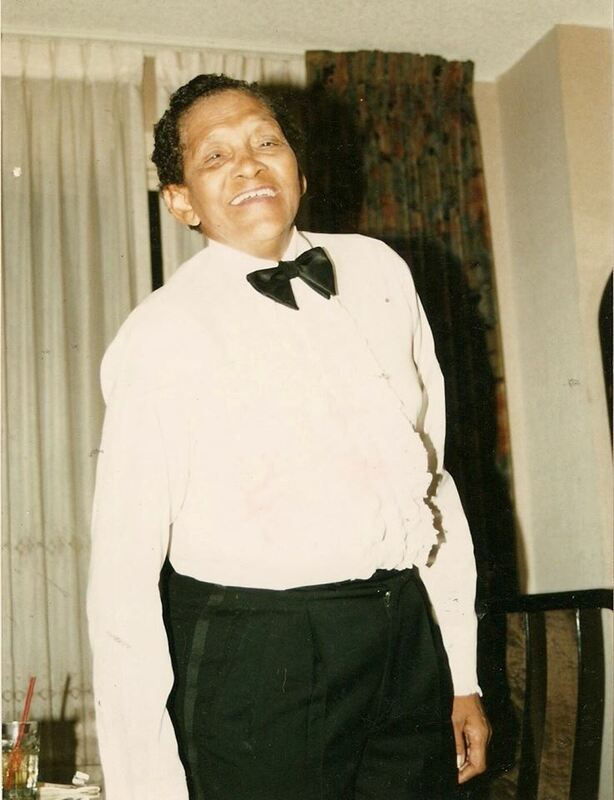 He worked for a time as a hotel shipping clerk and as a caretaker for his ailing father. Jimmy met Estelle “Caldonia” Young in the early 1940′s; she took J immy on her road show as the featured singer. Caldonia became almost a surrogate mother to Jimmy, having lost his own mother at age 13. “Caldonia’s Revue” traveled the southern circuit to the east, they put up their own stages in the rural areas. Caldonia took Jimmy along with her to do a special performance at Gamby’s in Baltimore in 1945, where he met up with his friend Redd Foxx who was also appearing at Gamby’s. They went over to the Royal Theater to see Joe Louis. Redd and Joe told Jimmy he should be in New York performing instead of traveling around to those small towns. They convinced him he could make it on his own, the way he sang. So they talked to Ralph Cooper who called up Nipsy Russell, the M.C. at the Baby Grand in Harlem and arranged for Jimmy to get a one week booking. Jimmy sang that one week and they kept him on for 3 more months! Billie Holiday would show up nightly while in town to listen to Jimmy. Doc Pomus was in the audience during that first week and wanted to meet this amazing singer, Jimmy said “sure” and they became fast friends. Scott and Doc Pomus friendship lasted over 45 years. Jimmy sang at Doc’s funeral in 1991. It was there that record label owner Seymour Stein heard Jimmy sing and practically signed him on the spot, thus the beginning of Jimmy’s re-emergence as a singer with his Grammy nominated comeback album “All The Way.” At age 67 he began to tour the world, where he was introduced to new appreciative audiences and legions of new young fans. 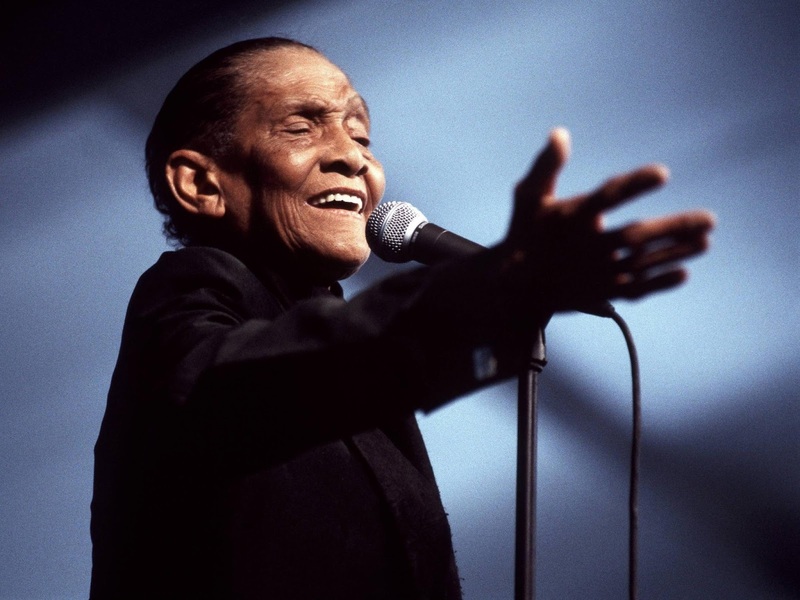 Now, the press refers to him with reverence as the Golden Voice of Jazz, the Legendary Jimmy Scott. 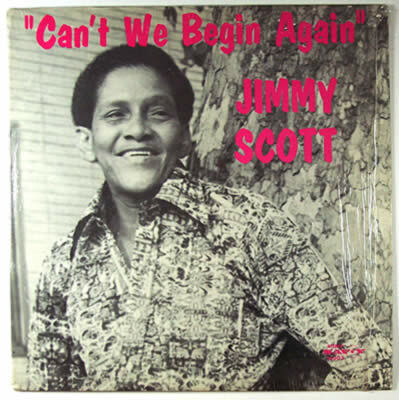 After a long climb, things were really looking up for Jimmy Scott. 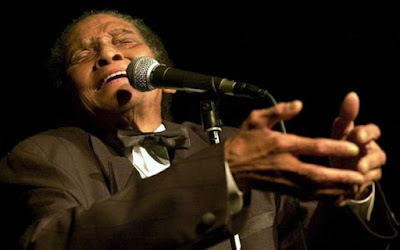 He established a dedicated international audience through triumphant tours of Europe and Japan and was the featured subject of a Bravo Profiles television special, and of an in-depth biography by award-winning author David Ritz (Faith in Time: The Jazz Life of Jimmy Scott, from Da Capo Press 2002). 9. WHY WAS I BORN? 15. WHEN DID YOU LEAVE HEAVEN? 18. WHY TRY TO CHANGE ME NOW? 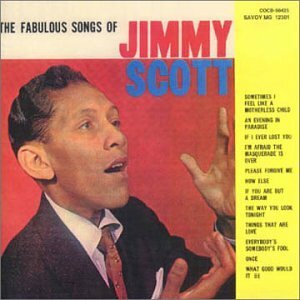 It has to be said that many consider Little Jimmy Scott to be one of America's greatest jazz singers. This 'little' example of his work, spanning the years 1950-1962 proves just that! 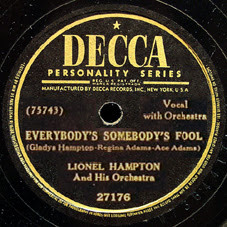 Features the orchestras of Budd Johnson, Ray Charles and of course Lionel Hampton, with whom he recorded his only charting hit, 'Everybody's Somebody's Fool'. Many of the songs on this collection went on to inspire artists such as, Nancy Wilson, Marvin Gaye, Frankie Valli and countless others to strive to be the best they could thanks to the sound and talent of this American original. 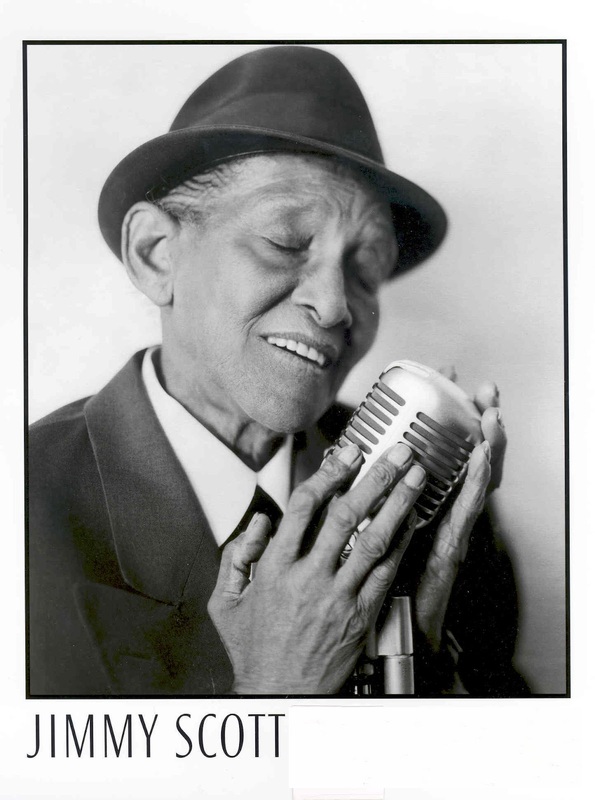 A unique moment from the legendary Jimmy Scott – a one-off album cut for Atlantic Records – recorded after his initial 50s fame, and decades before he’d finally get his due, much later in his life! The album’s got a style that’s a bit more mature than Scott’s initial sides – a bit more grown up in approach, even though Jimmy’s still got that really unique light tone to his vocals – and arranged by Arif Mardin and William Fischer in a hip blend of jazz and strings – with a slow-moving vibe that’s completely mesmerizing. The core instrumentation is by a group that includes Junior Mance on piano, Billy Butler on guitar, and Ron Carter on bass. For over 40 years, Scott’s frankly feminine registers, delayed deliveries, easy shapings, and full-soul bellows have been a source of inspiration and style for everyone from Nancy Wilson to k.d. lang, and this collection carries that legendary legacy into the 21st century. A big thank you to Funk My Soul Blog for the original link.